It will be hot this weekend! Come have a blast and get wet with sprinklers, a huge slip n’ slide, giant bubble blowing, water balloon sling shots and lots of other fun, and it’s FREE! 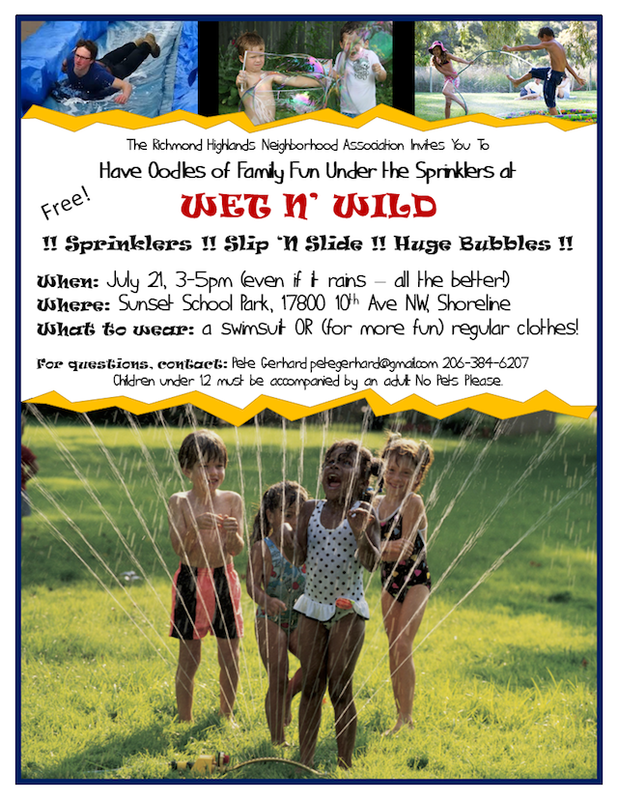 The Richmond Highlands Neighborhood Association invites you to join the fun at the third annual Wet N’ Wild this Saturday, July 21, 2018 from 3-5pm at Sunset School Park 17800 10th Ave NW, Shoreline 98177. Bring fun loving kids of all ages, your beach towels, and prepare to have a great time.